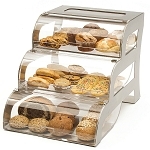 Baked treats stand out when showcased in this crystal clear Pastry 4 Tray Case. Show off your wares in style and watch as profits rise. 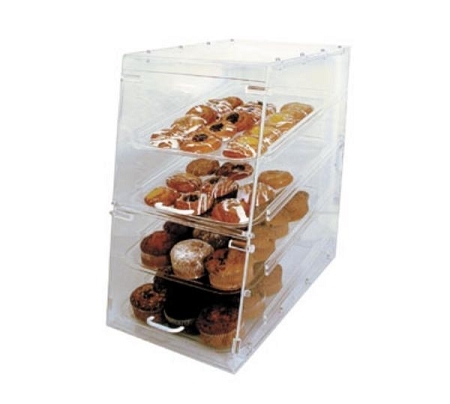 Bakery displays are great for doughnuts, rolls, as well as other baked goods. 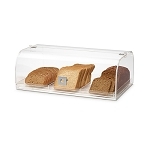 This bakery case comes with 4 trays that easily removed from the rear for quick cleaning and restocking. Flip open doors on the front allow your customers to select their own sweet treasures. Made from easy to clean clear acrylic. Don't delay; purchase your display case now at All candy Containers and start inticing customers with all the tasty treats. Dimensions:14" x 24" x 24"
Trays easily remove from the rear of unit for quick cleaning and restocking.